Career & Business What is UPI and how it works? UPI full name is Unified Payment Interface. UPI is used for online payment. 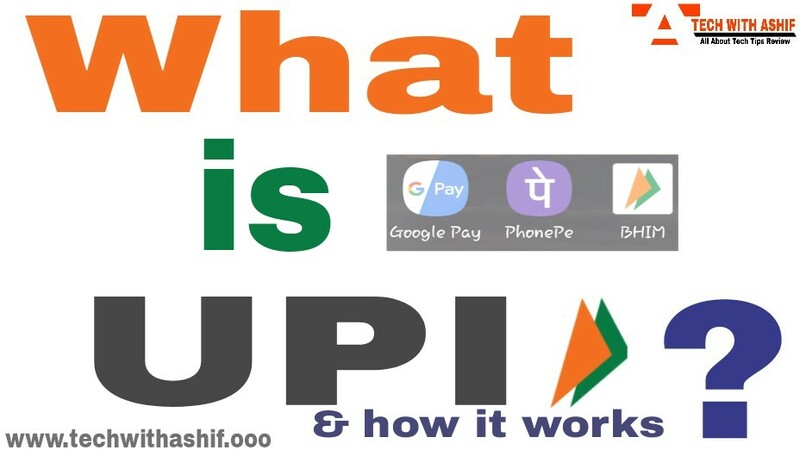 UPI is a mobile based payment system operated by NPCI, UPI is the most advanced payment system in which you only need mobile number or virtual id (VPA) but You do not need to remember anything like your bank account number, branch name, IFSC code etc. 1. You can funds transfer 24X7 through this. 2. You can add any bank account in it which is included in the upi, you can add more than one account to it. 3. Can only send money to anyone through VPA and send request to receive money. 4. No need to remember your account details. 5. Facility of sending money through VPA, Aadhaar number, bank account number and IFSC code, mobile number and MMID. 1. UPI is fully mobile based payment method. 2. In UPI, you do not need to remember or share anything like your banking information like account number, IFSC code, bank branch. 3. This process is faster and safer than all other online fund transfer services like net banking. 4. It is very easy to use UPI app if you do not have a smartphone, then you can use it even by dialing *99 # in the basic phone. How does UPI work ? As we told you that UPI is a very advanced payment system, you just need a VPA (VIRTUAL PAYMENT ADDRESS) to use UPI. The VIRTUAL ID is exactly like the email ID. As every person's email ID is different, Similarly, every person's VPA address is different. Now if you have to transfer money to a person and you just need his VPA, in the same way if you want to receive the payment, then just need to share your VPA, do not need to provide your banking details. UPI fund transfer is faster than RTGS or NEFT. Through this you can send money to any bank account at any time in 24 hours. Money in this process immediately reaches the recipient's account. If a person does not have a VIRTUAL ID then you can send the payment to the account number and IFSC code, Adhaar number or register mobile number. You can also make merchant payments through UPI. To pay you, QR Code Scane, Mobile No. Or Upi id. After that there you will have to tell the shopkeeper your VIRTUAL ID and confirm the payment. How to register in UPI ? 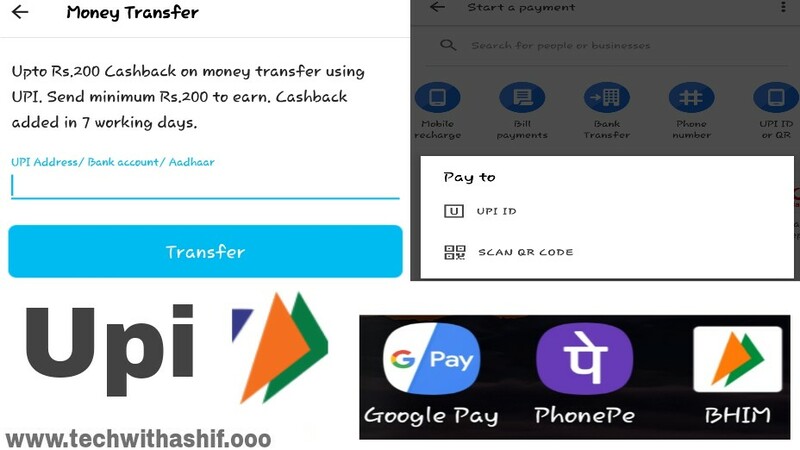 To register in UPI, first you have your bank or third party UPI Apps Download from PlayStore and install it on the Smartphone and follow the steps given below. Popular 3rd party apps in Playstore: Google Pay (Tez), Phonepe, Bhim upi. Step-1: Once the app is installed, open it in your phone and you will have a Welcome screen show as soon as you open the app. Step-2: Then you register mobile no. entre do The app will send a message to your registered mobile number so that you will need to verify your mobile number OTP. Step-3: After Verification, you have to agree to TERMS & CONDITION and then have to fill your profile and set up your login pin. Step-4: In the next step, you have to add your bank account and CREATE your VPA address so that you can share to get the payment done. Final-Step: To set up UPI PIN in different steps, in which you will have to enter the last 6 digits of your ATM / DEBIT card, after which you will receive an OTP, Enter and confirm your UPI PIN. You will get a message from SUCCESSFUL, which means that you can now use UPI. Friends, you must share your thoughts in the comment box. Note: - The Bank registered mobile number sim card should be on the same phone in which you have installed the UPI app.